Back To The Beginning: There's another installment up at Writings From Windridge Farm. Click here to go directly to the new post. Click here if you have no idea what I'm talking about. Click here if you'd rather just see another pretty flower photo. (Personally I can never get enough flower photos). 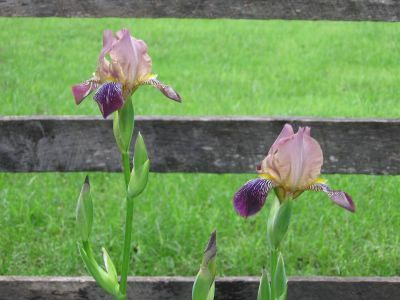 I love flower photos too.I post pictures on keewee's garden so I can keep up with the plant's progress throughout the season.It is a great way to look back, and see if particular plants are worth the effort to plant again the following season. The macro setting on my camera gets a very good workout in the springtime! that's so beautifull photos, and agree a farm, that's a big job for a familly. Also, i think "God bless you and your familly" continue your great job... thanks.